So you can go over and not only fly/walk this free one, but also see, and request to further see any on my blog, the others. The Rhodes one did not show yet on the map since I just did it. Ok, let's hear some noise!!!!! I am bored to tears!! and Happy Epiphany Day!! Have you had yours???? Mallorca [photo looking southwest] home of Kings, a major port of call for Pirates, Buccaneers and other swarthy types. Notable visitors were George Sand, Frédéric Chopin, Agatha Christie, the home of the Majorcan Cartographic School which produced the Catalan Atlas and the Portolan Chart [although the Genoese dispute this]. The terrain includes rolling hills, some mountainous areas, some flat lands and beautiful beaches. Gran Canaria is one of the Canary Islands located off the coast of western Africa. 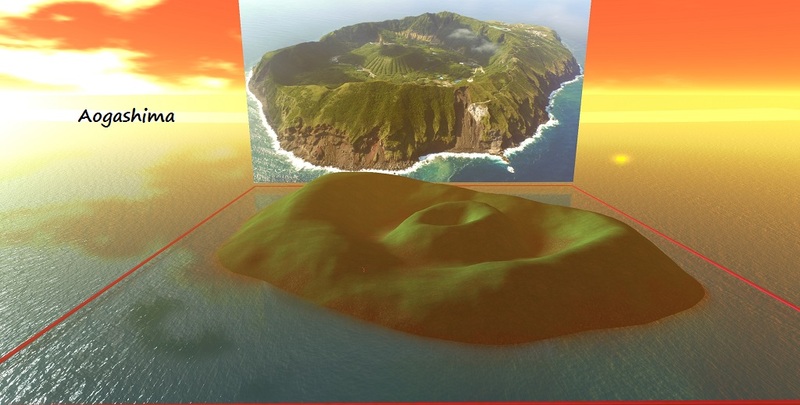 Virtually rising to 40m with lots of beach areas added, this depiction of the island should give you some nice options to enjoy. Thanks, Minethere! I added that to a new multi-region world I'm working. 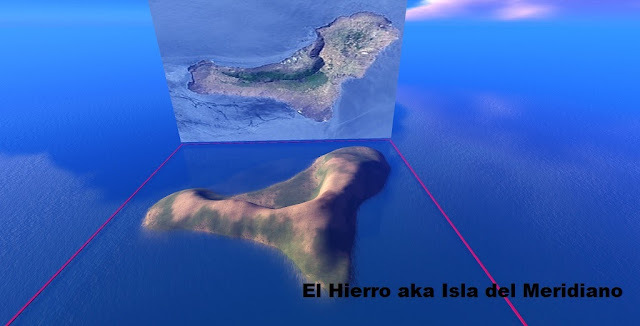 An interesting fact, to the north of Gran Canaria and slightly to the west is an island called Madeira. I happened to live on Madeira for a year. Fun little tropical island. Doc Phair wrote: Thanks, Minethere! I added that to a new multi-region world I'm working. 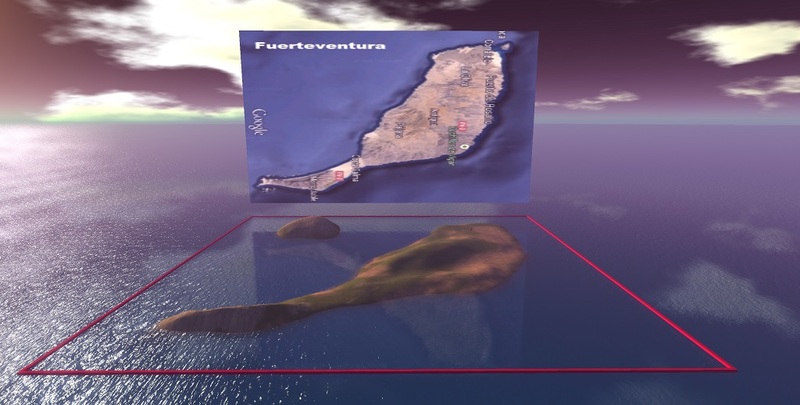 An interesting fact, to the north of Gran Canaria and slightly to the west is an island called Madeira. I happened to live on Madeira for a year. Fun little tropical island. cool-)) I am going to do 4 or 5 more of the Canaries...I did Tenerife but it is for sale. 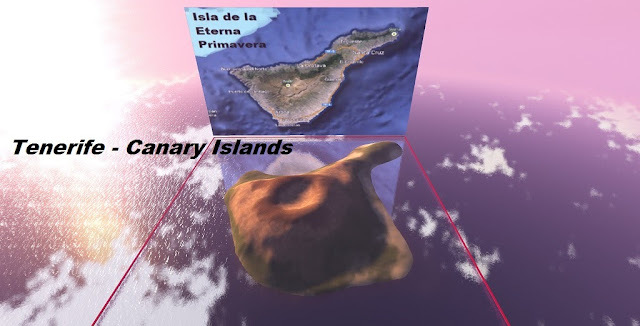 -- Tenerife aka Teide aka Isla de la Eterna Primavera is the first of 7 of the largest in the Canary Islands chain I will be re-creating. I just imported one of my first OARs I created, a Mermaid themed one, for your enjoyment. I have my region open for all but do pay for the time of regular users so please be considerate in that regard, or, go buy my MP stuff which supports this, if you wish to, either way is not a problem at all. Lots of nice content that should all be set to copy by anyone [if something is not that you want send me a private message and I will find the time to go in and fix it, eventually]. 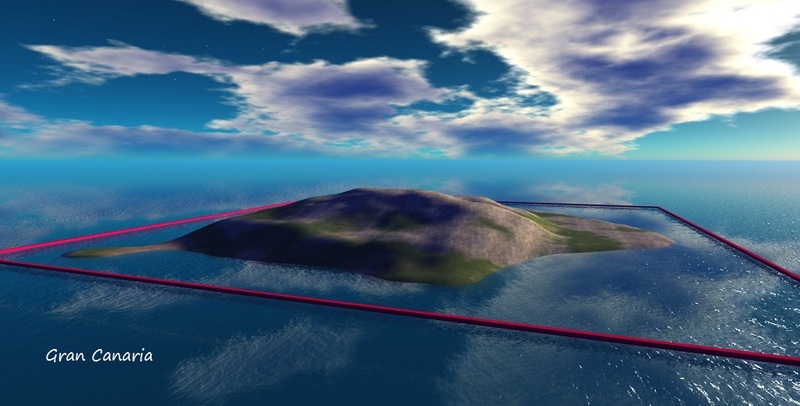 I also have a copyable version of this http://thehypergates.com/ you may wish to snag for later, though it will need to be updated when HG is enabled here, it is a VERY useful item to have. This OAR is also available if you want it, free, just let me know in private. Elba is a Mediterranean island in Tuscany, Italy, 20 kilometres (12 mi) from the coastal town of Piombino. French emperor Napoleon I was exiled to Elba after his forced abdication in 1814 and arrived at Portoferraio on May 3, 1814 to begin his exile there. He was allowed to keep a personal guard of six hundred men. 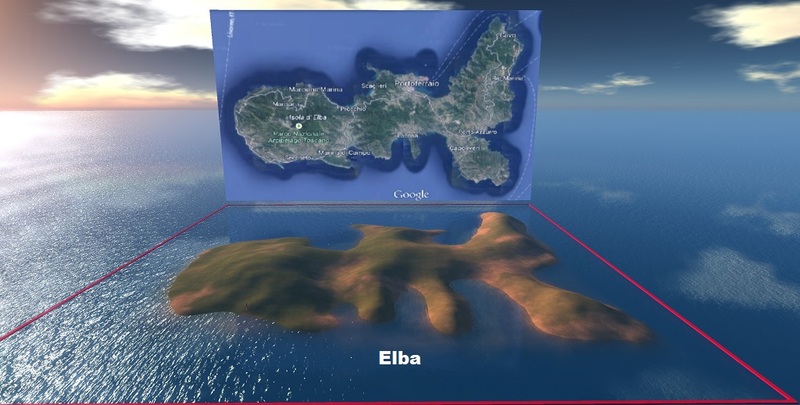 Although he was nominally sovereign of Elba, the island was patrolled by the British Royal Navy. This depiction has rolling hills up to 30 meters and many wonderful beach areas with a variety of water heights. My depiction includes water inside the Caldera Maruyama which is inside of the larger Caldera of Ikenosawa. With heights rising to 44m I smoothed it all out a bit more than the real place because that is just what I do, so deal! !